- Auto circling over a fixed GPS location. ● Deactivated Mode �� In this mode, the FY-41AP Lite auto stabilization is turned off. The aircraft is completely under pilot control. 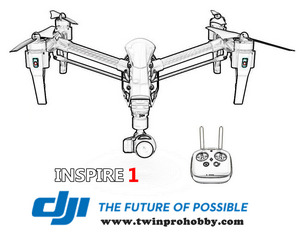 ● Stabilized Mode �� Level flight is automatically maintained, making flight simple, especially for beginners. If a pilot feels the plane is out of control, simply reduce input control and the plane will automatically recover level flight. ● 3D Mode �� If no input is given by the pilot (all sticks in the middle position), 3D mode will lock the current aircraft attitude. Therefore the aircraft can be easily maneuvered to complete a variety of 3D flight with added stability & smoothness. ● Fixed altitude & Heading lock Mode �� This mode maintains aircraft flight course & holds the altitude on activation. By using GPS data, the system automatically corrects flight course deviation & maintains straight-line flight. ● Auto Return To Launch Mode (RTL) �� Upon activation of this Mode, the aircraft will automatically return to the Home point, maintaining its current altitude. Upon reaching the Home point, it will initiate auto circling. 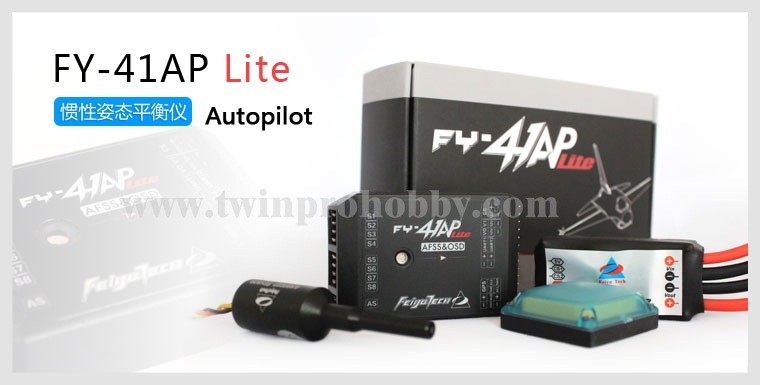 ● First Person View (FPV) �� FY-41AP Lite has an integrated OSD video overlay system that presents critical flight information on the video for easy enjoy FPV, at the same time, Auto stable, Fixed altitude & Heading lock, Auto Return To Home function will make FPV operation more easy. � Parameter Settings � Control parameters setting. � Real time monitoring � It can monitor flight attitude. And via the GCS software you can change the flight altitude in real time. � Record and monitoring flight � You can monitor and download flight path via the GCS software in your computer.